surface of the earth. It is a process that is harmful to the environment as well residents in the area. In November 2013, The Hawk did a closer look at this environmental issue prevalent in Pennsylvania. 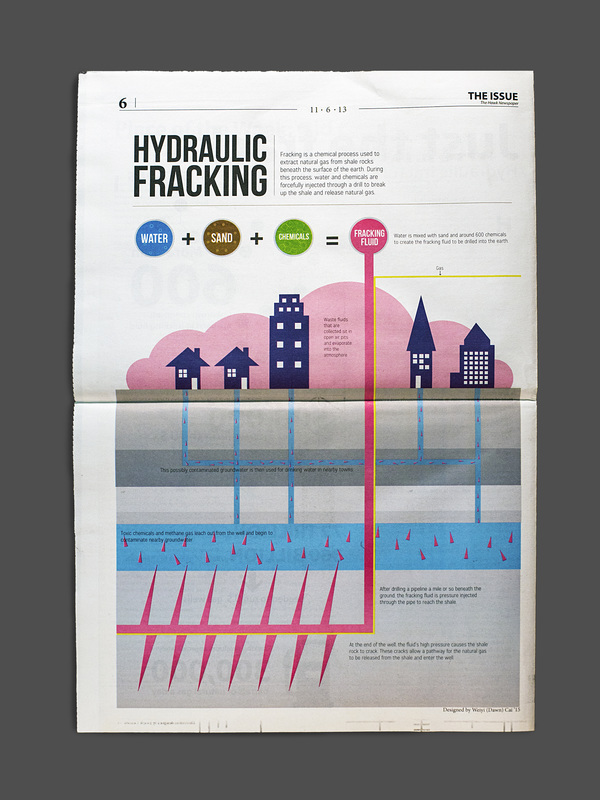 I designed this graphic to illustrate the fracking process.